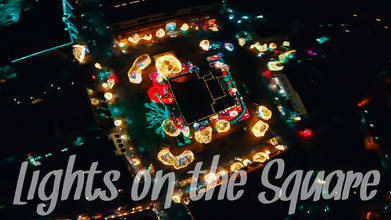 FPV pilot JU5TbyCHANCE gets into the holiday season with this awesome rip session through a dazzling Christmas light display. Like a group of carolers or a his close proximity flight through trees decorated in bright red, green, and white lights spreads joy and cheer to all who watch. Celebrate the festive winter holidays with this FPV flow through all the colorful strings of light!